The 2018 GCC Robotics Challenge took place Saturday March 24th at Princess Haya Auditorium, Alfaisal University, where seven teams from around the Kingdom competed on KSA local round. The Battle field; the competition arena contained six challenges resembling to GCC countries. Four teams from Alfaisal University college of engineering participated in the event: “Team Name”, “Cereal Killers”, “H.A.A.S.H” and “SKYNET”, with other teams participating from different universities across the Kingdom, including Effat University, Prince Sultan University, and King Abdulaziz University. SKYNET team from Alfaisal University achieved the first place in KSA local round and will be flying to Bahrain on April 21st to compete in the in the 2018 GCC Robotics challenge final round. Members of the Alfaisal winning team included Habib Farouq (EE, Junior), Omar Alakkad (EE, Junior) and Amjad Abujamous (SE, Junior). 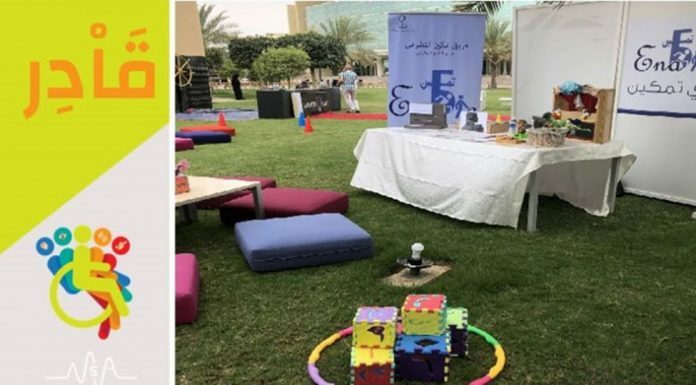 The local round was generously sponsored by the Alfaisal University Office of Research and Graduate Studies, with the organization overseen by the Alfaisal University IEEE Student Branch. The branch is especially indebted to all student volunteers from CoE and CoB who offered their time and effort at different stages in the organization. The branch further extends its gratitude to ORG Director, Dr. Yusuf Alyusuf, and CoE Dean, Dr. Mohamed Anan, for their continuous support and encouragement, and to all CoE faculty lending a hand with preparing the arena and conducting the competition, including EE Chair Dr. Sghaier Guizani and Dr. Samer Mansour (SE). Further support was provided by Eng. Sam Aleyadeh (EE), Dr. Ahmed Oteafy (EE), Dr. Abdel Naser Daoud (ME), IE Chair Dr. Abdallah Alrashdan, and Eng. Athique Ahmed (ME). The branch would also like to acknowledge the support Prof. Mohamed Shehata (Effat University, EE) for helping out with judging in the competition. Mysteries of our mind: can molecular medicine help to unravel them?